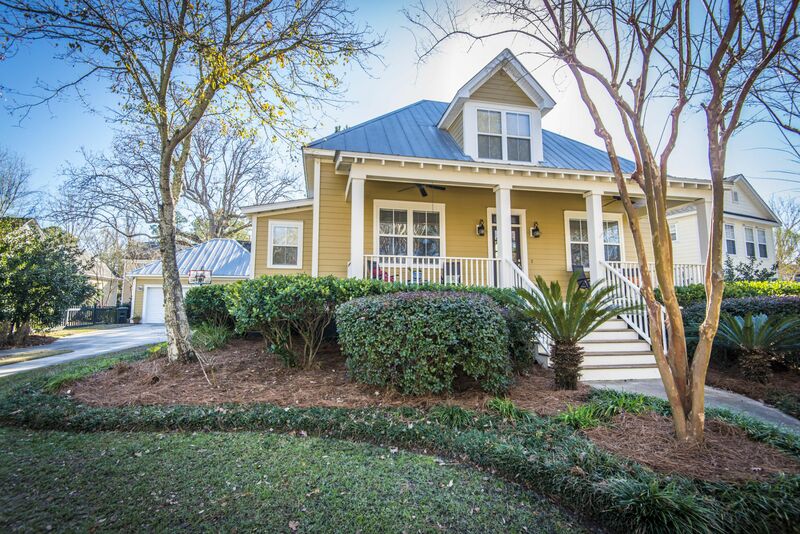 Find new featured properties, events in Charleston, neighborhood spotlights and more. The Sound of Charleston is a celebration Charleston's diverse musical heritage. This 75-minute live concert features music from the past three centuries - from gospel to Gershwin, as the organizers are fond of saying. It's a unique and inspiring experience that has brought audiences to their feet, and often to tears. The sundry musical sampling will include spirituals sung by the first slaves arriving in America through Charleston's port, Civil War camp songs from both sides, and much more. 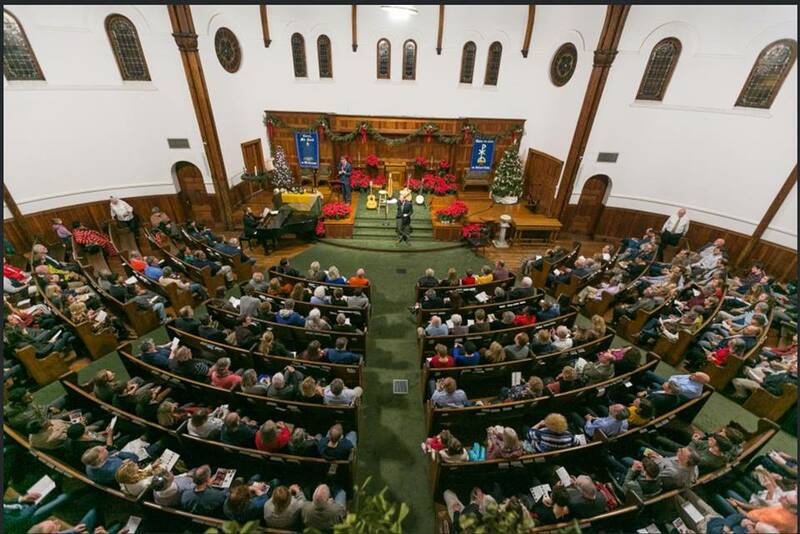 The beautiful and historic Circular Congregational Church serves both as host site and part of the history. The famous hymn "Amazing Grace" was written by John Newton after drawing inspiration from sermons he attended at this very church. "Porgy and Bess" was composed by George Gershwin while staying in Charleston. Charleston also has a significant jazz connection that predates the New Orleans jazz scene. This is just a snapshot of the rich variety that make up The Sound of Charleston. The picturesque outdoor living areas are simply stunning here at 49 S Hampton Drive. 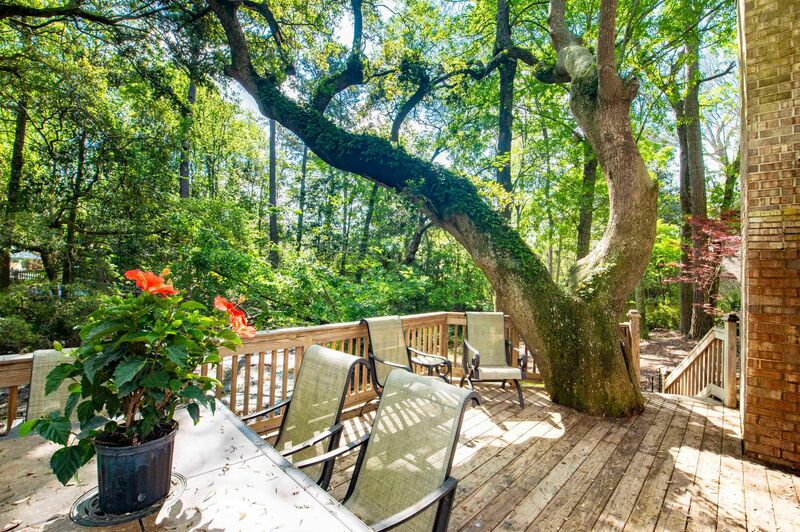 The deck has been built around a beautiful live oak, and is embraced by beautiful greenery and dappled sunlight. It overlooks woods and a charming little creek just waiting to be explored. 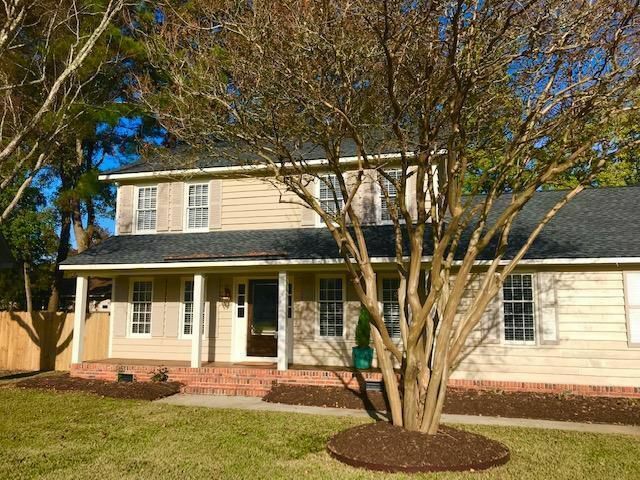 This lovely home is located on a quiet cul-de-sac and would be the perfect spot to raise a family. The light-filled open floor plan is fantastic and features vaulted ceilings in both the living room and master bedroom. This three-bedroom home boasts a bonus room that could be used as an office or additional bedroom. Recent improvements include new kitchen appliances and tile, a renovated master bath, and fresh exterior paint. It is very neutral with a lot of potential; all this home needs is a family to make it their own by adding some personal touches. April has arrived and - no fooling - this is cause to celebrate! April 13th heralds the return of the Charleston Farmers market. Located in Marion square, the heart of Historic Downtown Charleston, it is a favorite of locals and a huge draw for tourists. Over the years, the Charleston Farmers Market has racked up a slew of accolades and awards. The idyllic location hosts an impressive array of local produce, herbs, plants, and cut flowers. Peruse the eclectic selection of juried arts and crafts from local artisans. From handcrafted jewelry to hand-turned wooden bowls and beyond - the Charleston Farmers market truly has something for everyone. Put that coffee down, and check out this fabulous property! This three-bedroom ranch has been seriously remodeled and is primed to be your home-sweet-home. The open floor plan is nice and bright, features beautiful hardwood floors, and is ideal for entertaining. Featuring a dreamy chef's kitchen, lovely built-ins - including wet bar, and a stunning stone fireplace, this is a home you will love to show off. Enjoy the outdoors in style as well with a screened porch to die for, and deck leading to an expansive yard backed by a wooded buffer. Ahh, Charleston in the spring. There is nothing more enchanting than Historical Charleston when her gorgeous gardens are in bloom. The 2019 Festival of Houses and Gardens is your chance for a magical glimpse into the some of Charleston's most stunning properties. The Historic Charleston Foundation has been putting on these tours for seventy-two years. They provide a unique opportunity to step into the private homes and gardens of some of our Nation's most beautiful residences dating from the 18th to the 21st century. These award-winning tours feature homes in the city's Old and Historic District, and are a wonderful way to learn more about our distinctive architecture and history. Middleton Place is home to America's Oldest Landscaped Gardens. This National Historic Landmark is dubbed "the most important and most interesting garden in America" by The Garden Club of America. The Gardens have been planned so that there is always something blooming at Middleton Place - year round. 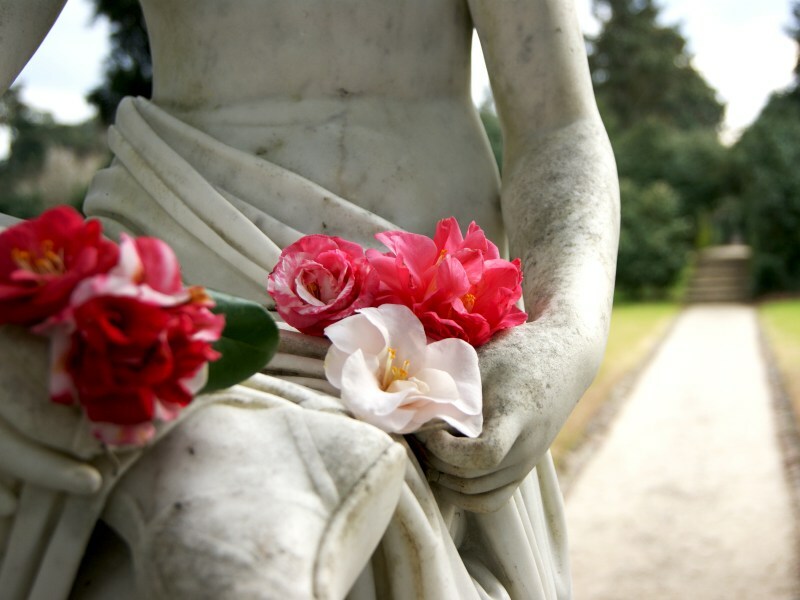 In February, celebration of the Camellia begins. This absolutely charming craftsman cottage has it all. 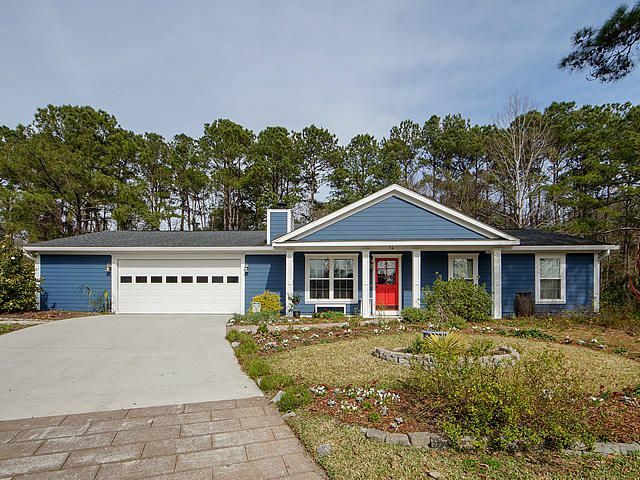 Located on a quiet street in the coveted Center Park section of Daniel Island, it is brimming with thoughtful design touches. Heart Pine flooring and gorgeous trim-work flow throughout. The bright kitchen features a Viking gas range, and stylish subway tile back-splash. The master suite is conveniently located downstairs. This home boasts lots of great storage from the generous walk-in closets to the walk-in attic over the detached two-car garage. The outdoor living areas are also top notch. Both the homey front porch and the screened back porch are perfect spots to enjoy this beautifully landscaped Lowcountry paradise. This one will go fast; call Bud today to schedule your private showing: 843-189-7097. 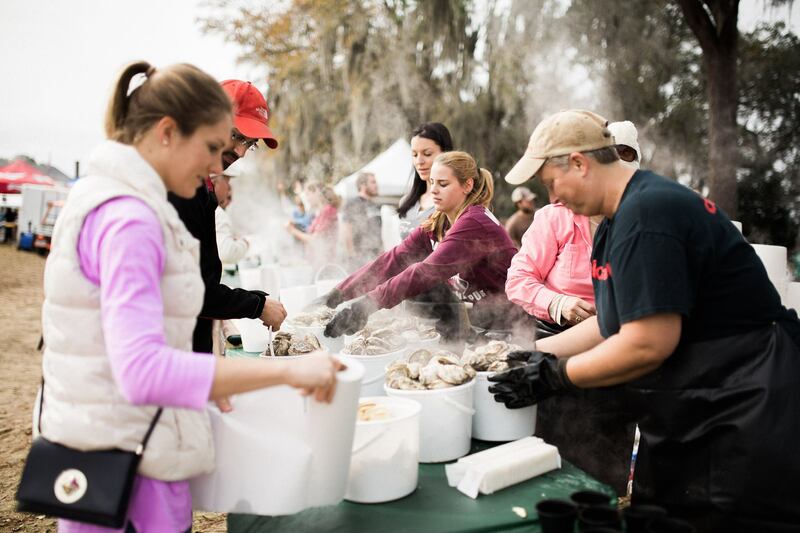 Come on out to Boone Hall Plantation on Sunday, January 27th for a shuckin' good time at the 36th annual Lowcountry Oyster Festival. One of the many wonderful things about Charleston is the array of festivals throughout the year. Whether you are new to the area or a true native, this is one event not to be missed. Oyster roasts are a quintessential Lowcountry experience, and this festival offers oysters galore plus so much more. As the main attraction, oysters will be available in abundance. Buckets of oysters are purchased with festival tickets, and come with the all-important sides: hot sauce, cocktail sauce, horseradish, and crackers. Come armed with your own oyster knives and gloves, or purchase them onsite. If you're game, enter the oyster eating contest or the oyster shucking contest. Or just watch the spectacle from the sidelines - sure to be entertaining! Of course, what festival is complete without live music and a fun kid zone? No worries, you'll find that here too. There's also a "food court" featuring some popular local restaurants that will serve other food, wine, beer, and assorted non-alcoholic drinks to ensure that everyone's taste preferences are catered to. This is not only the biggest oyster festival in the world, but also a charity fundraiser. Make plans now to be a part of this year's festivities. This beautiful four-bedroom home is newly renovated and move-in ready. Absolutely everything has been updated and the attention to detail creates a true masterpiece. The carefully curated flooring, counter-tops, built-ins, and decorative molding make this a home you will enjoy showing off. Not only is the interior swoon-worthy, but the fenced back yard includes a private patio and fire pit. For folks in and around the Charleston area, the Holiday Festival of Lights is a treasured holiday tradition. From November 9th through January 1st James Island County Park dazzles with over 700 displays and two million lights. This three mile driving tour is sure to ignite that spark of holiday spirit. Whether it's a car filled with the "ooh's and ahh's" of little ones gearing up for Santa, or a quiet romantic drive with a sweetheart, this sparkling display of the season's joy will warm the hearts of all. But that's not all...there's much more. The Festival of Lights invites you to park the car and enjoy the plethora of holiday delights. You won't want to miss the charm of the Victorian carousel, the handmade gingerbread houses, or your chance check out the lights up-close from the holiday train. Then of course, you may just need to recharge your holiday batteries with a delectable treat from Santa's Sweet Shoppe - go on, you deserve it. Be sure to stroll through the display of giant greeting cards created by local students, and top off the evening with a visit to the awe-inspiring sand sculpture created from over fifty tons of sand.